sailboat. 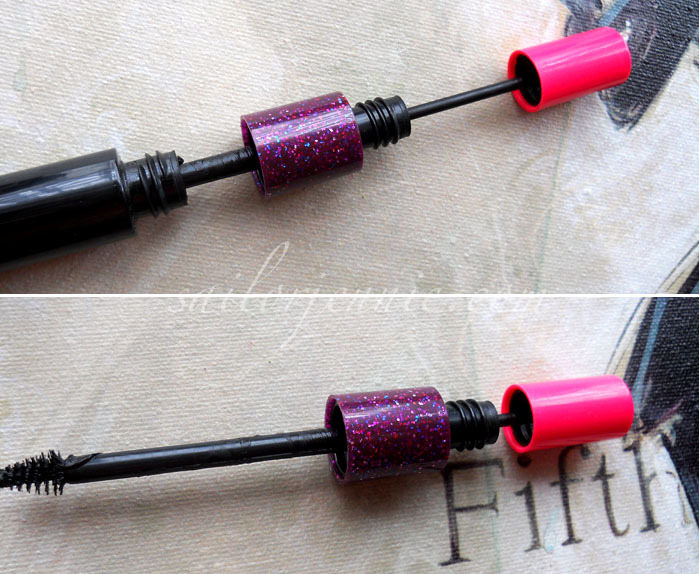 : A Review: MAC Haute & Naughty Lash mascara. I wish I was blessed with your long eyelashes! As for the formula, I think either way it'd be too thick and a bit much for my wimpy lashes. I think my all time favourite is either Estee Lauder's Sumptuous or the YSL False Lash effect one, but I agree that since it dries up and needs to be repurchased every 3 months that it's not something I like to spend a lot of money on. The only thing is that Estee Lauder usually include mascara in their free gifts when they're on their 'buy 2 products and get a free gift' thing so I can sometimes get by for a while without the spendage. My favourite, err, 'high street' mascara is probably the l'oreal telescopic which never ever clumps but allows me to put on quite a few layers. First of all, wowsers at the photos of your eyes, you must have a good macro lens and a steady hand! The Collection 2000 Big Fake mascara is my favourite too, and to be honest, no matter how good it was I don't think I could ever justify spending 17.50 on a mascara! I'm gutted I didn't order something for a free tube of this now! I loveeee the packaging, that purple sparkley bit is so pretty. The pink wand looks fab, the purple not-so-much! My favourite mascara (at the moment anyway) is GOSH serious volume mascara. @Alyse - It's definitely not worth the price so you're not missing out at all! @Wonderland Girl - Thank you for letting me know your favourites! @Mademoiselle Lala - Ooh I'll have to have a look at that one! @Gem - Same. Although I'm not sure who will be able to use the purple wand without it looking a bit...too much hehe. @Rosie - Just the macro function on my little Nikon point and shoot. It's a good little camera! Hehe same, it's a lot of money! @Helen - Ooh I've been meaning to try that one! And thank you for the primer recommendation, I've never really thought about an eyelash primer! @Lily - Thank you lovely! Ooh ace, looking forward to your review! @Charlotte - It's definitely a bit pricey! @Charlotte - Ooh I've never tried that one, I'll look into it! 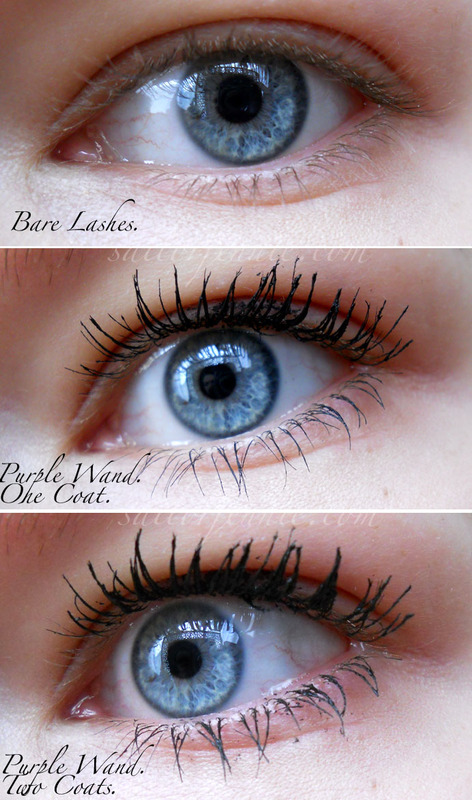 I really like this post I think I am going to have to try this mascara out it sounds so fun! I am constantly looking for a good mascara because I have eyelash extensions and it would be nice to match the bottom of my eyelashes with the top. 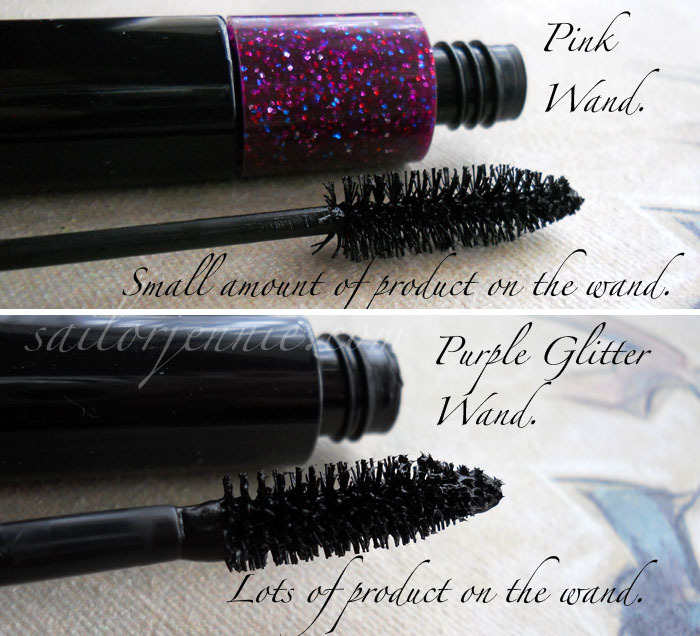 Interesting review, I find that pretty much all mascaras lead to clumping. I'm used to it. I use a Rimmel one, maybe a fiver. At least its cheap. Tough to remove though. Weeps off in the shower but won't budge with remover. Typical! Ha, I saw this in Mac and was really confused as to what the sparkly bit was for! I guess now I know haha. 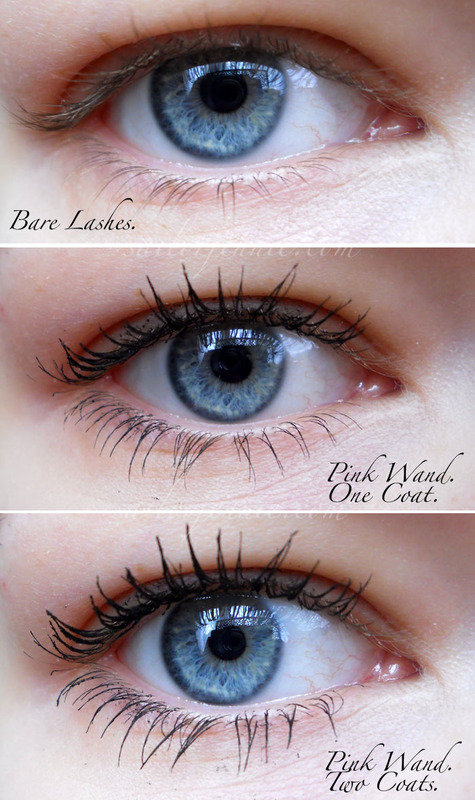 Mascara is not something I would splash out on to be honest, I often find the cheapies achieve similar results! I really need to get myself some of this, it looks really good!